- Measures: Width: 315 cm Depth: 94 cm Height: 250 cm Weight: 2450 kg - 2 year Guarantee! - Free Shipping! 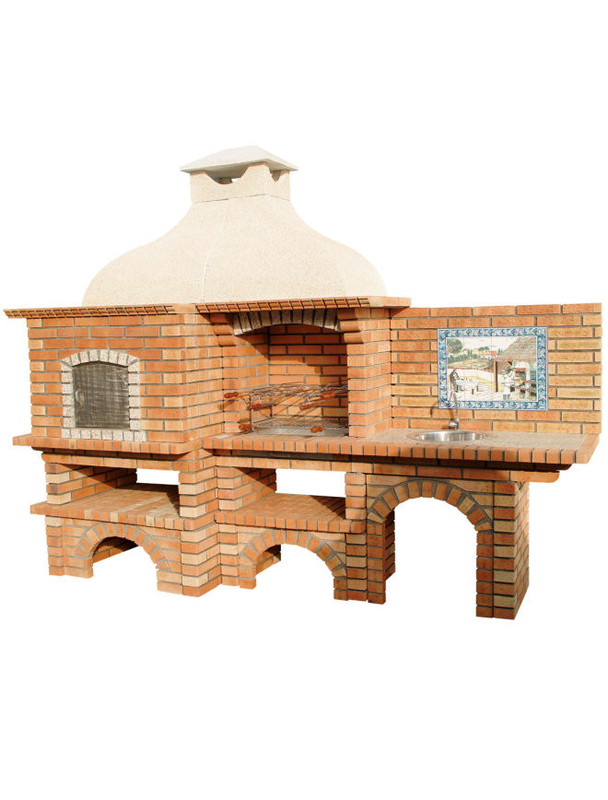 Barbecue and Wood Fired Oven CE9020F Free shipping to England, metropolitan France*, Monaco, Belgium, Luxembourg, Italy and Spain. For other destinations please contact us. Preheat barbecue to high. To make green olive salsa verde, place mint, parsley, olives, garlic, anchovies, almonds and capers in a bowl and toss to combine. Add oil, zest and juice, and gently whisk to combine. Season with salt and freshly ground black pepper. Drizzle 2 teaspoons oil over prawns, season and toss to coat. Cook for 2 minutes each side on the grill or until lightly charred and just cooked. Transfer to a plate and cover to keep warm. Brush onions, witlof and haloumi with remaining 2 teaspoons oil. Season onions and witlof, then cook on the grill for 2 minutes each side or until lightly charred. Transfer to a plate. Cook haloumi on the grill for 1 minute each side or until lightly charred. Arrange onions, witlof, haloumi, prawns and watercress on a platter. Drizzle with salsa verde to serve. Find recipes that make the most of seasonal produce in our summer collection. You may also enjoy our warm saladand pastacollections.